As a benefit to ALA South Florida Chapter members, we invite you to attend the monthly webinar at the offices of Bilzin Sumberg in Miami. 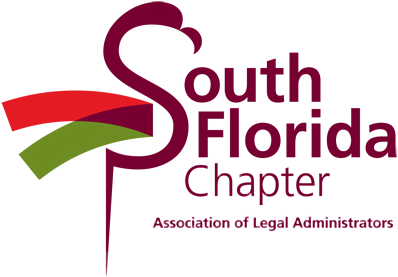 No fee for South Florida Chapter members. To attend webinar in Miami, please RSVP to Jackie Fleites at jfleites@bilzin.com. Great leaders are great communicators, particularly when things get hard. Whether delivering a poor performance review or downsizing and letting people go, conveying difficult messages is one of the most challenging things a manager does. The word Aloha can mean many things, including compassion, grace and charity. Learn how to communicate with Aloha to say the hard things without detracting from the message. Jayson L. Dibble, Ph.D., Assistant Professor in the Department of Communication at Hope College specializes in relational communication, particularly within face-to-face settings. His research areas include interpersonal communication, persuasion, health, and youth and family communication. His current interests are in the dynamics and communication implications regarding the interpersonal delivery of bad news. CLM Recertification Credit: 1 hour of credit in the subject area of Communication & Organizational Management (CM). CLM℠ App Credit (Functional Specialists): 1 hour in the subject area of Communication & Organizational Management (CM) towards the additional hours required of some Functional Specialists to fulfill the CLM application.